Following his comments, women artists and executives across the industry took Portnow to task, demanding that Portnow resign. The Recording Academy then announced they were setting up an independent task force to “place ourselves under a microscope and tackle whatever truths are revealed.” And now we know who will be leading that task force: Tina Tchen, who previously served as Chief of Staff to former First Lady Michelle Obama. Billboard reports that Tchen is assembling a 15 to 20 member team, which will include “experts” on diversity in entertainment. The group will be in charge of examining and fixing “the various barriers and unconscious biases faced by underrepresented communities throughout the music industry and, specifically, across Recording Academy operations and policies.” They’ll look at hiring practices, the Grammy Awards itself, and, most importantly, membership, which has up until now been largely a mystery because the Recording Academy does not publicly disclose the gender, race, and age breakdown of its voting body. That Tchen does not have a music background (though she worked a bit with the Recording Academy through the White House’s “In Performance” series) makes her an unbiased leader to oversee the task force, Neil Portnow argues. 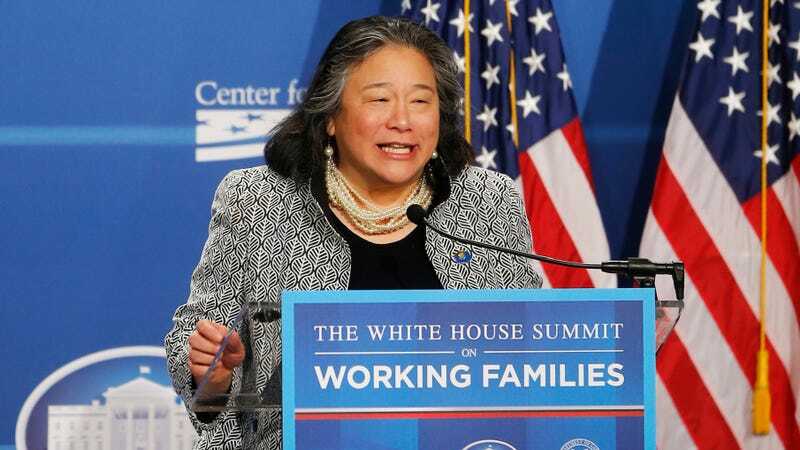 Tchen is a partner at the Buckley Sandler LLP law firm, was the executive director of President Barack Obama’s White House Council on Women and Girls, and, in what sounds like music to my ears, she recently helped set up the Time’s Up Legal Defense Fund. Overall, I have high hopes. Tchen seems like someone who will get some real work done at the Recording Academy and, if they’re not going to fire him, school Neil Portnow on how to be quiet and let women run the place.